Expand the size of Oracle’s Pre-Built Development VM’s (virtual appliances) to accommodate software package updates and additional software installations. In my last post, Using Oracle’s Pre-Built Enterprise Java VM for Development Testing, I discussed issues with the small footprint of the VM. Oracle’s Pre-Built Enterprise Java Development VM, aka virtual appliance, is comprised of (2) 8 GB Virtual Machine Disks (VMDK). The small size of the VM made it impossible to update the system software, or install new applications. After much trial and error, and a few late nights reading posts by others who had run into this problem, I found a fairly easy series of steps to increase the size of the VM. In the following example, I’ll demonstrate how to resize the VM’s virtual disks to 15 GB each; you can resize the disks to whatever size you need. Before we start, a few quick terms. It’s not critical to have a complete understanding of Linux’s Logical Volume Manager (LVM). However, without some basic knowledge of how Linux manages virtual disks and physical storage, the following process might seem a bit confusing. I pulled the definitions directly from Wikipedia and LVM How-To. Logical Volume Manager (LVM) – LVM is a logical volume manager for the Linux kernel; it manages disk drivers and similar mass-storage devices. Volume Group (VG) – Highest level abstraction within the LVM. Gathers Logical Volumes (LV) and Physical Volumes (PV) into one administrative unit. Physical Volume (PV) – Typically a hard disk, or any device that ‘looks’ like a hard disk (eg. a software raid device). 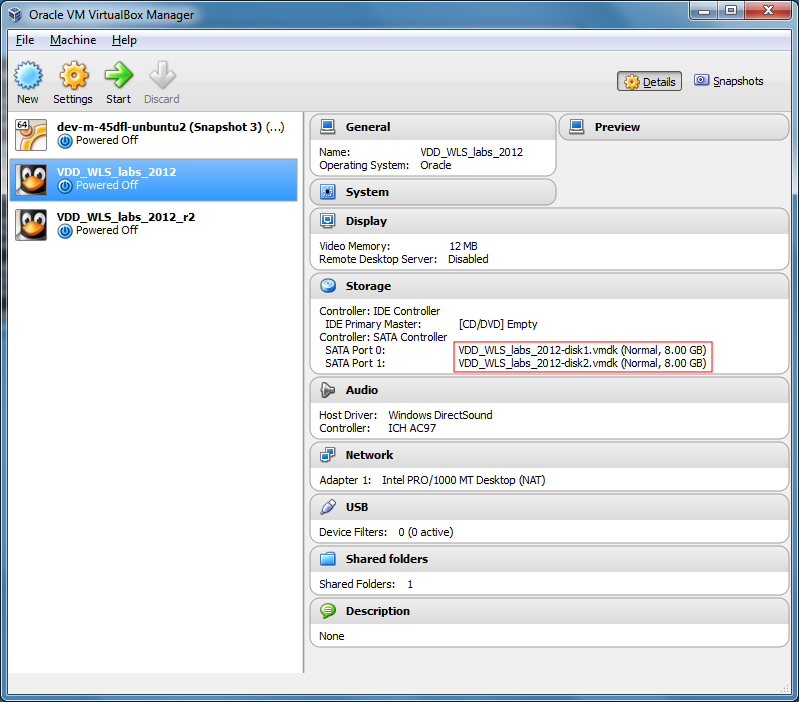 Logical Volume (LV) – Equivalent of disk partition in a non-LVM system. Visible as a standard block device; as such the LV can contain a file system (eg. /home). Logical Extents (LE) – Each LV is split into chunks of data, known as logical extents. The extent size is the same for all logical volumes in the volume group. The system pools LEs into a VG. 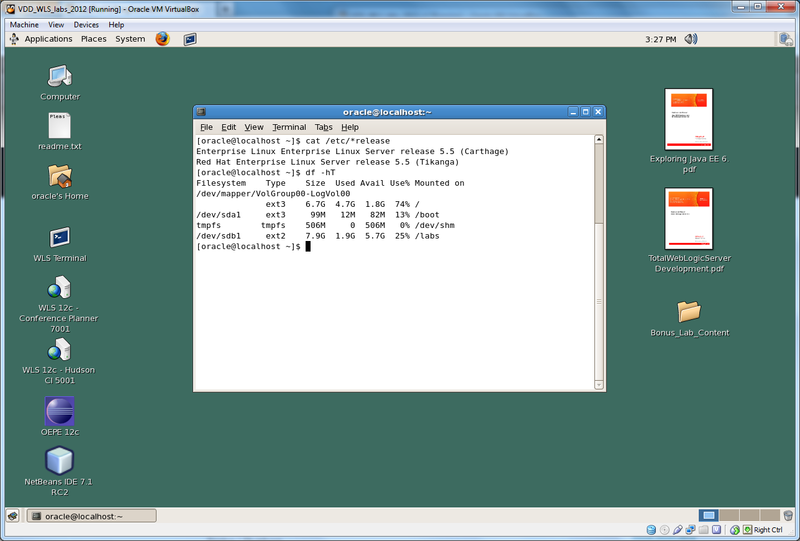 The pooled LEs can then be concatenated together into virtual disk partitions (LV). Virtual Machine Disk (VMDK) – Container for virtual hard disk drives used in virtual machines. 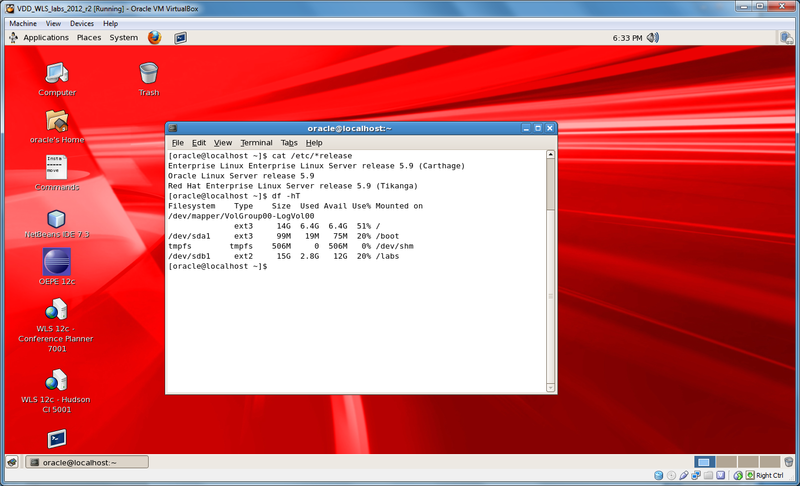 Developed by VMware for its virtual appliance products, but is now an open format. Virtual Disk Image (VDI) – VirtualBox-specific container format for storing files on the host operating system. Delete the original VMDK files. From the Windows command line, run the following command to find information about virtual disk images currently in use by VirtualBox. 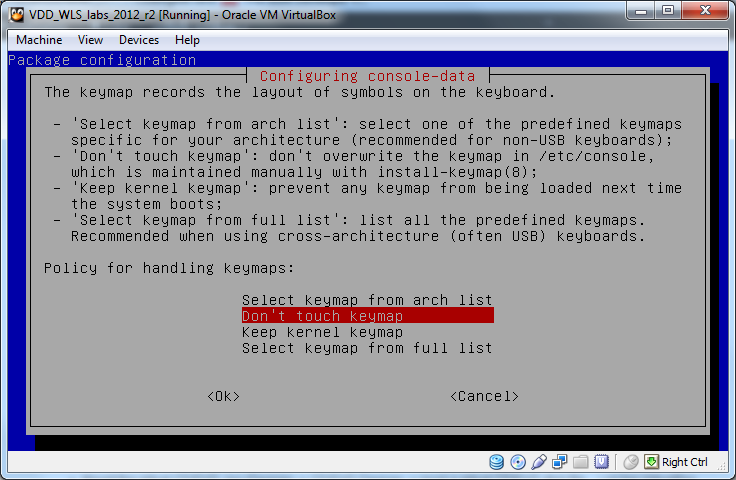 Locate the (2) VMDK images associated with the VM you are going to resize. 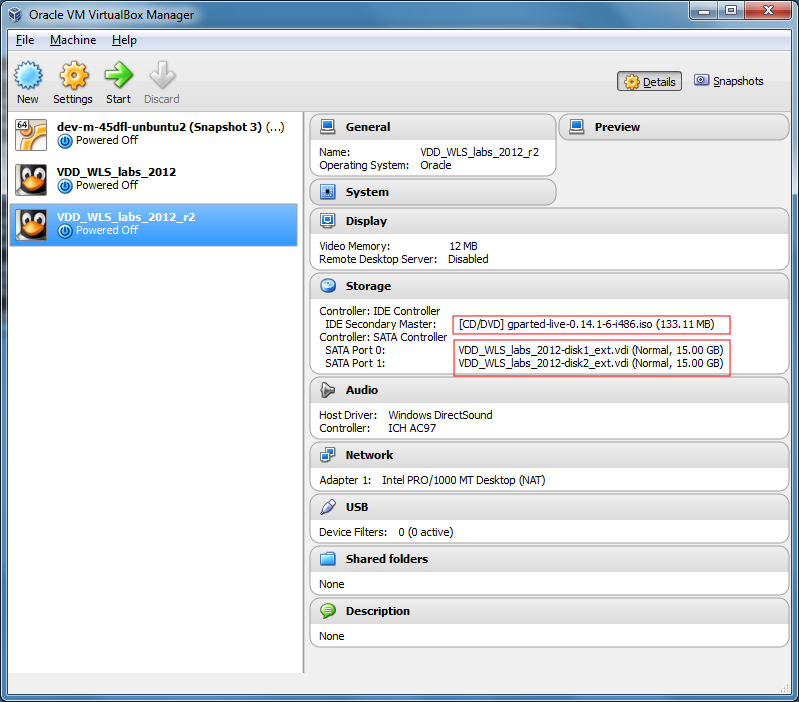 Using VirtualBox Manger -> Settings -> Storage, replace the (2) original VMDK files with the new VDI files. Keep the Attributes -> Hard Disk set to the same SATA Port 0 and SATA Port 1 of the original VMDK files. Download GParted Live ISO image to the host system (Windows). Mount the GParted ISO (Devices -> CD/DVD Devices -> Chose a virtual CD/DVD disk file…). 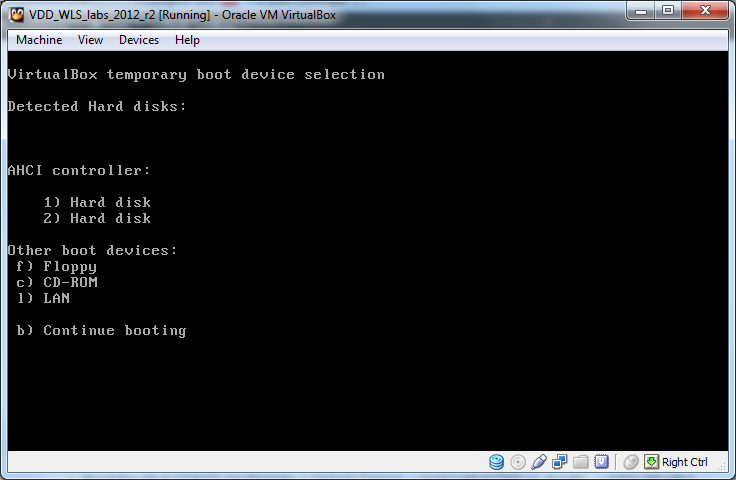 Start the VM, hit f12 as VM boots up, and select CD/DVD (option c). Answer a few questions for GParted to boot up properly. Expand the ‘/dev/sda2’ and ‘/dev/sdb1’ partitions to use all unallocated space (in gray below). Using the Terminal, resize the Logical Volume to the new size of the VDI (‘/dev/sda’). Using the Terminal, resize the file system to match Logical Volume size. Restart the VM, hit f12 as it’s booting up, and select ‘1) Hard disk’ as the boot device. Open the Terminal and enter ‘df -hT’ to confirm your results. You can now safely install YUM Server configuration to update software packages, and install new applications. Once you sure everything worked, don’t forget to delete the original VMDK files. They are taking up 16 GB of disk space. This entry was posted on April 25, 2013, 9:46 pm and is filed under DevOps, Enterprise Software Development, Java Development, Software Development. You can follow any responses to this entry through RSS 2.0. You can leave a response, or trackback from your own site.